It's not officially summer where I am, but it's starting to feel like it. Here's a toast to sweet summer nights to come! 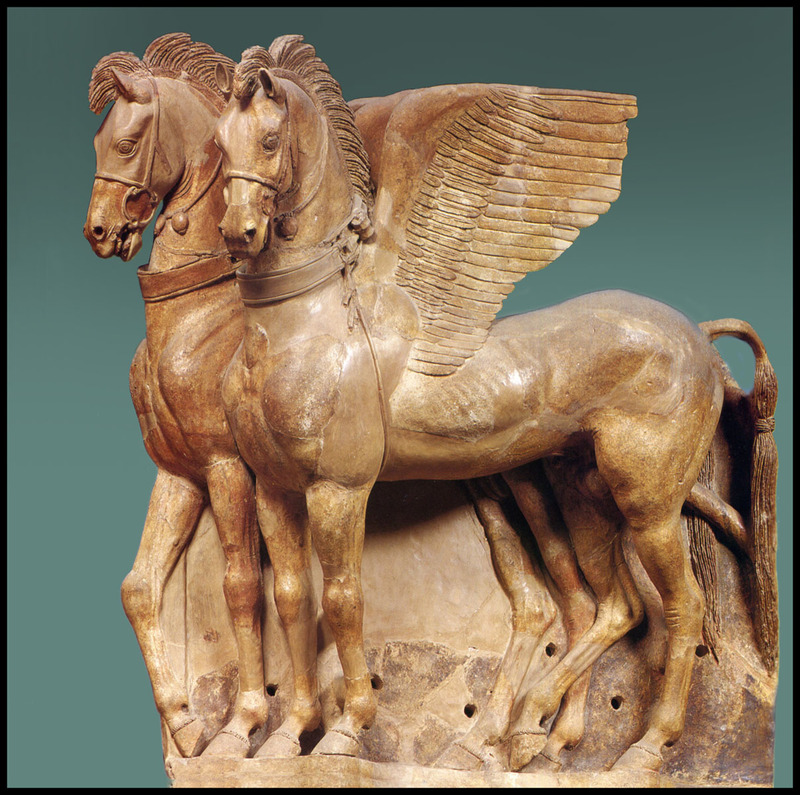 Once upon a time, these terra cotta winged horses stood at the height of an Etruscan temple, symbolizing strength and, for what it was worth to the viewer, swift passage. This sculpture has survived since before the Christian era and for all we know was modeled from life, before the extinction of such magnificent creatures, so I like to think.